Plastic chain is used as a traffic cone to barricade. 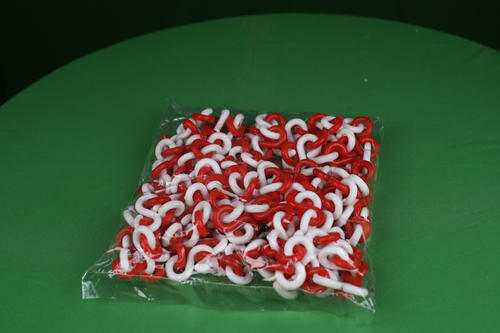 They are used in hotel, hospitals, petrol pumps and Events like the marathon.Plastic chain is the cheapest mode to cover areas which are prone to accidents. Established in 2008 at Delhi (India), we, “H2 Safety India Pvt. Ltd.” are the leading manufacturer, trader and supplier of qualitative assortment of Traffic Cones, Traffic Cones Accessories, Flexible Posts & Lane Block, Plastic Speed Breakers, Rubber Speed Breakers, Parking Safety Accessories, Convex & Dome Mirror, Water Filled Barriers, etc.The offered range of products is precisely designed and manufactured by utilizing supreme quality raw materials and innovative technology under the supervision of our quality controllers. These products are highly appreciated among clients due to their sturdiness, robust design, easy installation, high durability and abrasion & impact resistance. In addition to this, we offer our products in various sizes, dimensions and designs at affordable prices.